Disney Theatrical Productions and PFM announced today that tickets for the long-awaited return engagement of Disney’s The Lion King go on sale to the public on November 30, 2018. Disney’s The Lion King will leap onto the Barbara B. Mann Performing Arts Hall at FSW stage on Wednesday, April 3 for a 3-week engagement through Sunday, April 21. Disney’s The Lion King is part of the Fifth Third Bank Broadway Series. Beginning Friday, November 30 at 10 a.m., tickets will be available at the Box Office at 13350 FSW Parkway, online at www.bbmannpah.com and by phone at 239-481-4849. Orders for groups of fifteen (15) or more may be placed by calling 239-489-3033 x 3104. VIP Ticket Packages, which include a prime seat location, a commemorative souvenir program and an exclusive merchandise item, are also available. Ticket buyers are reminded that Barbara B. Mann Performing Arts Hall at FSW is the only official retail ticket outlets for all performances. Ticket buyers who purchase tickets from a ticket broker or any third party should be aware that the Box Office is unable to reprint or replace lost or stolen tickets and is unable to contact patrons with information regarding time changes or other pertinent updates regarding the performance. The North American touring productions of THE LION KING have been seen by more than 20 million theatergoers. Having already played more than 80 cities across North America, THE LION KING now proudly makes its return engagement in 2019. After 20 landmark years on Broadway, THE LION KING continues ascendant as one of the most popular stage musicals in the world. Since its premiere on November 13, 1997, 25 global productions have been seen by more than 95 million people. Produced by Disney Theatrical Productions (under the direction of Thomas Schumacher), THE LION KING has made theatrical history with six productions worldwide running 15 or more years. 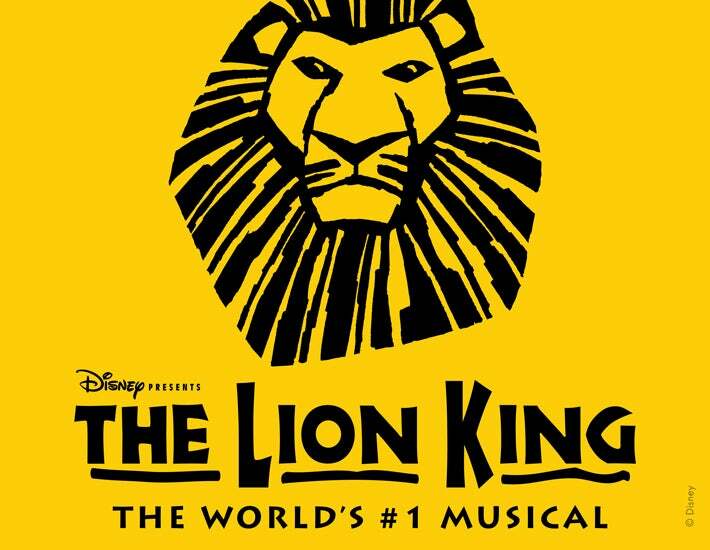 Performed in eight different languages (Japanese, German, Korean, French, Dutch, Spanish, Mandarin and Portuguese), productions of THE LION KING can currently be seen on Broadway; London's West End; Hamburg; Tokyo; Madrid; Scheveningen, Holland; Singapore; South Korea and on tour across North America, for a total of nine productions running concurrently across the globe. Having played over 100 cities in 20 countries on every continent except Antarctica, THE LION KING’s worldwide gross exceeds that of any film, Broadway show or other entertainment title in box office history.